This entry was posted on Monday, May 21st, 2012 at 5:52 pm	and posted in Uncategorized. You can follow any responses to this entry through the RSS 2.0 feed. 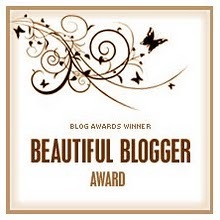 ‘In Blue’, your nominator, is actually author of the blog ‘Make Believe Boutique’: http://makebelieveboutique.com/ and not ‘Resting In Awareness’, of which I am the author. I would not want her deserving blog to miss out on visitors. Thank you for catching that Paul!